One hundred years ago there were approximately 100,000 tigers in the wild - today that number is only 3,000. Of this, about half are the Bengal Tigers of India. The largest threat to tiger survival is consumer demand for tiger parts. Tiger bones have been used in traditional Asian Medicine for more than 1,000 years, in various folk remedies and products. Particularly in China, there remains a strong cultural belief in the power of tiger parts, even though this mythology is causing Tigers to be hunted to extinction by poachers. Parts from a single tiger can fetch as much as $50,000 on the black market, and throughout many parts of China and Nepal the by-products are openly sold even though it is officially illegal. there are in the wild around the world." Over the past 100 years, Tigers have lost 93% o their habitat to population growth, small-farms and industrial agriculture. This has forced Tigers to live in small, isolated pockets of remaining habitat, making it harder for tigers to reproduce. Human encroachment has also led to the overhunting and loss of tiger prey species. There is hope - if given the habitat and safety, tigers can breed very quickly. 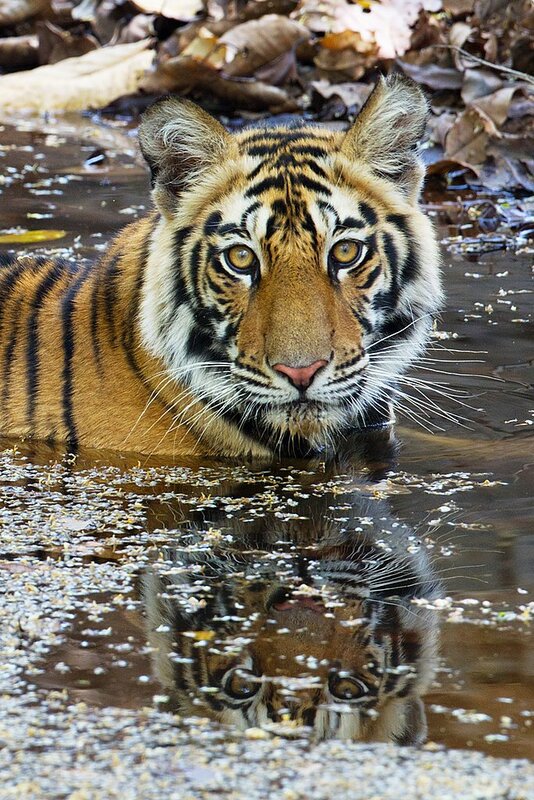 However if we do not act now, there will soon be no tigers left.